D-1 Sport Rear Fender Flares. NOTE: Widens rear of car 35mm. 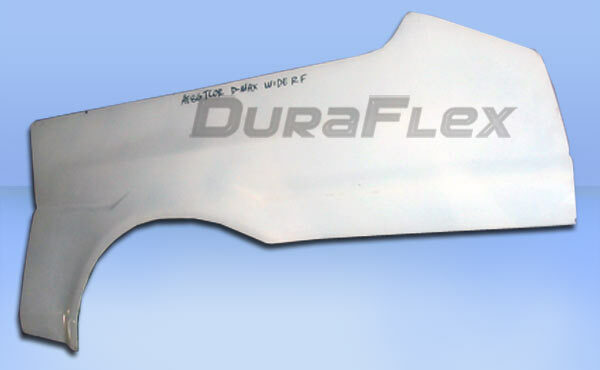 Extreme Dimensions' new Duraflex premium aerodynamics combine fiberglass, plastic, and flex resins to obtain its unique features. 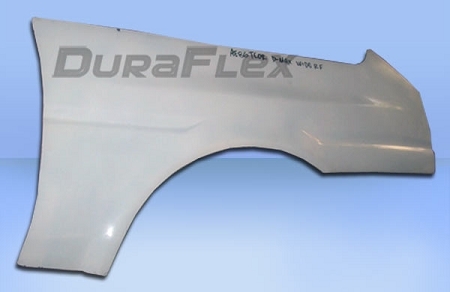 The new Duraflex technology obtains a much higher durability rate than the average fiberglass product, resulting in reduced shipping damages up to 75%. Duraflex products feature a black primer finish, high quality mesh grille, hardware kit, and an installation guide to help you install the product. This revolutionary product allows you to receive a premium fiberglass product at an affordable price. Due to high consumer demand, our entire fiberglass line of 5,000 products have been converted to the new Duraflex technology.